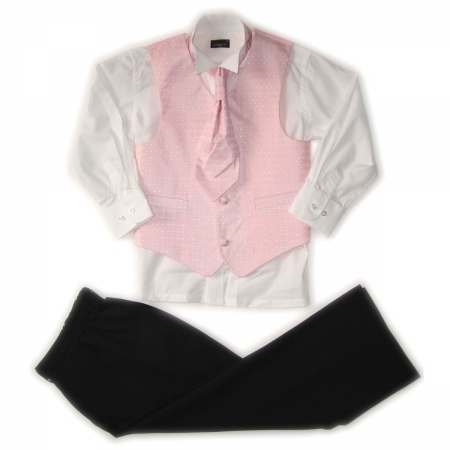 Back of waist coat is pink satin fabric with adjustable strap and buckle. Trousers is front pleated with side two pockets, turn-up and elasticated back waist. Waistcoat and cravat are patterned as shown in photograph. For wedding, christening and special occasions.